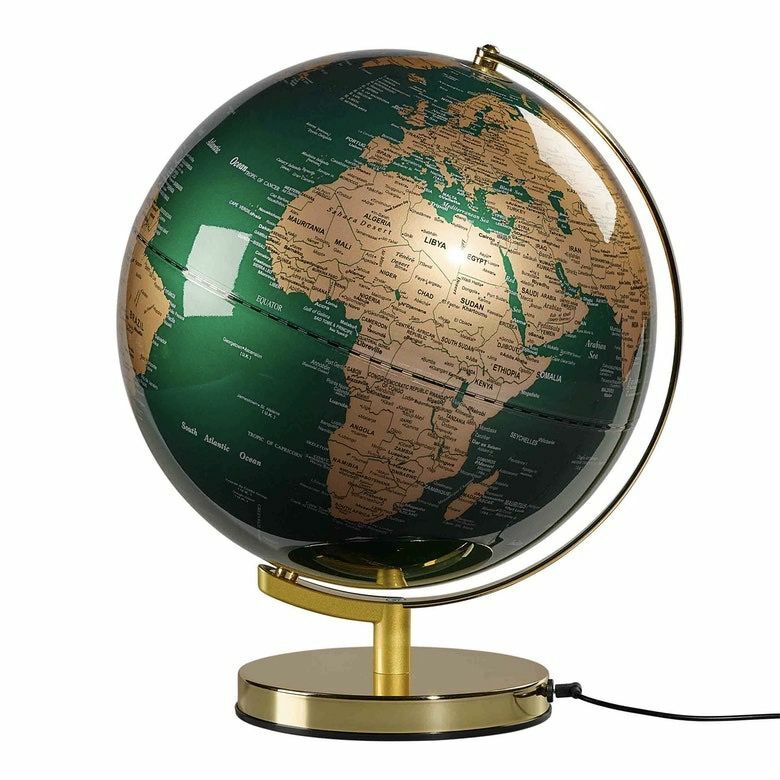 Fir green 12" light up globe with a contemporary metallic brass stand. 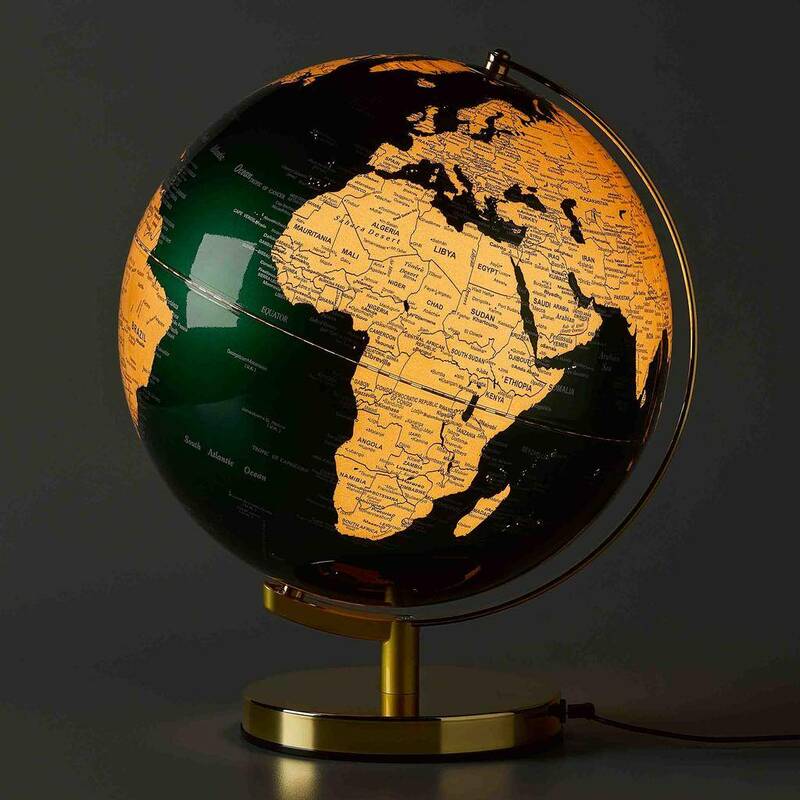 LED light bulb uses 90% less energy than halogen or incandescent bulbs. Can be powered via a USB connection or US mains plug socket. Cable length: 59"